Why is Recycling Important for Our Planet? Recycling is important in today’s world if we want to leave this planet for our future generations. It is good for the environment since we are making new products from the old products which are of no use to us. Recycling begins at home. If you are not throwing away any of your old product and instead utilizing it for something new then you are actually recycling. When you think of recycling you should really think about the whole idea; reduce, reuse and recycle. We’ve been careless up to this point with the way we’ve treated the Earth and it’s time to change; not just the way we do things but the way we think. Recycling is good for the environment, in the sense, we are using old and waste products which are of no use and then converting them back to the same new products. 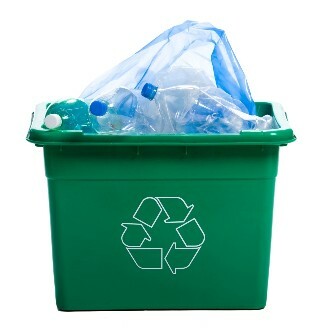 Since we are saving resources and are sending less trash to the landfills, it helps in reducing air and water pollution. Energy saving is important if we are to reduce the future effects of global warming. If we recycle one aluminum can, we are able to save enough energy to run a TV for around 3 hours. This will obviously depend on the energy consumption of your TV, but it gives you a great idea as to just how much energy can be saved during the process of recycling products. It is believed that (the U.S.) cut approximately 40 million newspapers each day, leading to the equivalent of about half a million trees ending in landfills every week. We’ve been careless up to this point with the way we’ve treated the Earth and it’s time to change; not just the way we do things but the way we think. Paper, plastic, glass, aluminum cans are examples of some products that are recycled in large quantities. When you think of recycling you should really think about the whole idea; reduce, reuse and recycle. Think about it; if you don’t need it, don’t get it. If you have to get it, get something that can be used again and if you get something that needs to be recycled by the professionals, put it in the recycle bin. Conservation is an important part of the recycling issue. When you produce less garbage it helps in reducing the landfills and also helps in giving the land back to nature. Recycling serves 2 purposes: First, it avoids landfills and helps in reducing air and water pollution and secondly, valuable material like aluminum cans and plastic and glass are reused in other forms and not wasted. Be mindful of what you do, pay attention to the items you buy and always check yourself to see if you really need it or if it comes in a package with less waste. We can all do our part and we will make a huge difference. What Can We People Do? There is a handful number of things that you could do to save this planet. 1. Throw away all the garbage in your house that is of no use to you or you think you can’t utilize it in some other way. If you don’t have these boxes, you can easily purchase a suitable container for each recyclable product (e.g. paper, plastic, and glass), and then take these down to your local recycling center. 2. Try to avoid the use of plastic bag and plastic paper as much as possible. They not only pollute the environment but also helps in filling landfills. Also, when you shop try to look out for the products that have least packaging. Every millions of dollars are spent only in packaging of these products which ultimately go to the garbage sites.